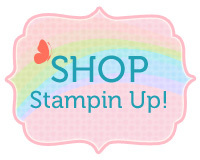 Opportunity to attend Stampin' Up! 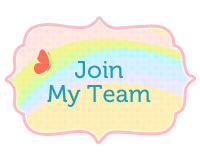 events that may be in your area, access to Stampin' Connection with hundreds of thousands of samples and videos, and more. Opportunity to attend monthly meetings and meet other stampers who love the same thing you do! 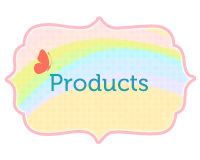 There is endless support from Stampin’ Up!©, from training, fun events, idea suggestions and demonstrator support. The demonstrator web site has it all, and lots of people to guide you on your journey. Sale-a-bration Join offer is for anyone - new and past demonstrators. This special offer begins January 3, 2018 thru March 31, 2018. Contact me to discuss how this opportunity could be the best New Year’s resolution you've ever made!!! I can be sure the stamp is on straight. The acrylic plates have gridlines every ¼”. Place your cardstock in the Stamparatus and lay your stamp carved side down on the cardstock where you want the image. Use your eye to make it as straight as possible. Then fold the acrylic plate onto the stamp and press. Remove the plate from the hinges and check alignment of the image with the gridlines. Make any minor adjustments, then ink the stamp and stamp. Now your image is perfectly straight! Didn’t get a clean stamped image? No problem…just reink the stamp and press again. Since neither the stamp nor the paper moved (assuming you held it down with a magnet), the image will be exactly in the same place as the first one. I used to always say, “Stamp first and then either die cut or punch so you can get the image straight.” However, that is not always possible. I wanted to use a die-cut label on a card we were making at a coffee shop and I didn’t want to take the Big Shot along. I did the cutting at home. Then at the coffee shop we placed the label in the corner of the Stamparatus and following steps in reason #1, we perfectly stamped the greeting on the label. You can buy extra acrylic plates making stamping multiples of a multistep image easy and time efficient. For example, look at the Painted Harvest stamp set (144783) on page 139 in the Annual catalog. There are four stamps to create the sunflower.First mount the less detailed flower stamp on an acrylic plate in the right-side hinge (see photo) and stamp it. Then place the detailed flower on the stamped image, turn the acrylic plate around,pick up the stamp and stamp. Next position the center of the flower on the image and pick it up with an acrylic plate that is in the top hinge. Stamp the image. Turn the plate around and pick up the dots and stamp them. By repeating this process, you can easily stamp more flowers with no struggle to get them properly positioned each time. There are some very cool techniques that can be done using the Stamparatus such as mirror stamping, reverse image stamping, hinge stamping and creating wreaths. Follow my blog for future posts sharing these techniques. Put a stamp case under the acrylic plate to support it in the opened position. This will help get good inking of the stamp and less ink on the acrylic plate. 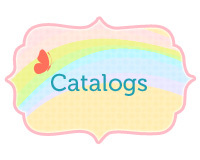 Purchase uninkedStampin’ Spots (141822) and ink them with reinkers in your favorite colors to use with the Stamparatus. If you subscribe to Paper Pumpkin you will get an assortment of inked spots over the course of several months as each month has one or two spots in the kit. Place a Silicone Craft Sheet (147042) in the Stamparatus when using photopolymer stamps. This will give enough height to your cardstock that you’ll get good images even next to the hinges. Alternately, you can use a cardstock shim or two. Put a piece of packing tape on the magnets with a flap on the end of the magnet to serve as a handle. These magnets are very strong and hard to pick up. It is easier with the ‘handle’. Also slide the magnets to separate them from the Stamparatus. Keep the two magnets a good distance apart. The attraction is very strong.